The official Annabelle Comes Home Twitter account has shared a short teaser, along with the announcement that the first trailer for the upcoming horror sequel will be dropping some time today. In the meantime, the new teaser doesn’t have much to offer in the way of footage, but it at least hints at how the demonic doll’s next outing will mark a change of pace from her previous two films. 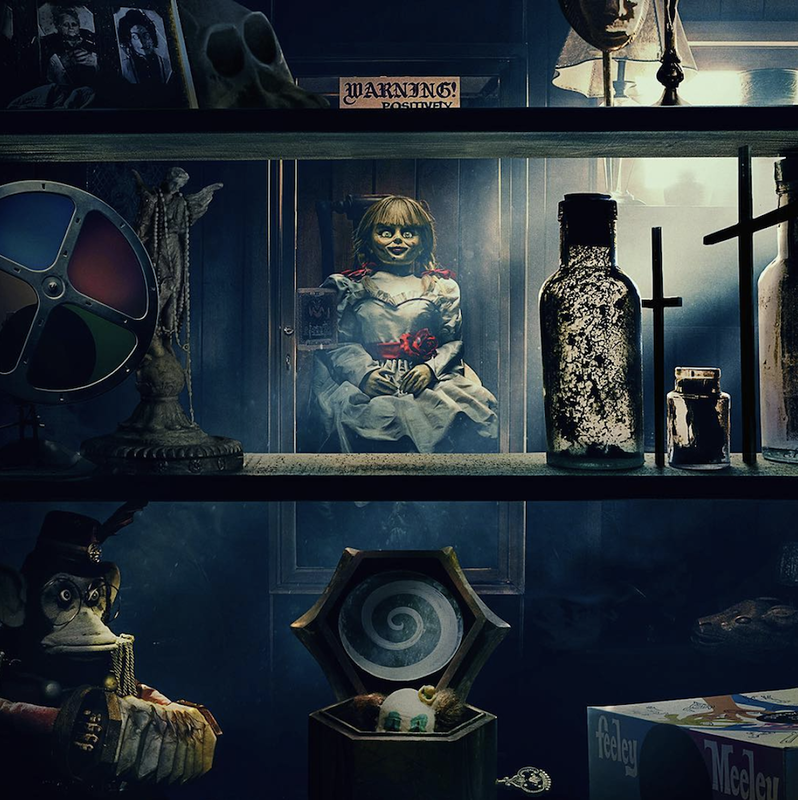 As the name would imply, Annabelle Comes Home sees the title character back in the residence of Lorraine and Ed Warren, the latter of whom is heard discussing the couple’s artifacts room in the 14-second preview. In an excerpt from 2013’s The Conjuring, Patrick Wilson’s character warns that “sometimes it’s better to keep the genie in the bottle.” His statement is followed by the sound of mischievous laughter, indicating that we’re about to find out just what happens when that genie escapes. In a story that was reportedly pitched as the horror version of Night at the Museum, Annabelle Comes Home will see the the evil spirits of the artifacts room awaken to wreak havoc. While it’s confirmed that Patrick Wilson and Vera Farmiga are reprising their respective roles as Ed and Lorraine, our heroine this time will be their daughter Judy, played by future Ghostbusters star Mckenna Grace. Joining the young Warren on this night of terror will be her babysitter Mary Ellen, played by Jumanji actress Madison Iseman. At the helm, meanwhile, is Gary Dauberman, whose past writing credits include It and the first two Annabelle movies. We’ll find out how he fares in his directorial debut when Annabelle Comes Home hits theaters on June 28th, 2019, but in the meantime, look out for that trailer.